Comes with our ginseng growing guide, also available here as a pdf. Ginseng is on the Appendix 2 list of the CITES (Convention on International Trade in Endangered Species). It is also on the United Plant Savers primary list. Wild stands of these plants are disappearing from the woods of N. America. Whenever we plant these native plants in our woodlands we help ensure their long-term survival. Planting instructions included. 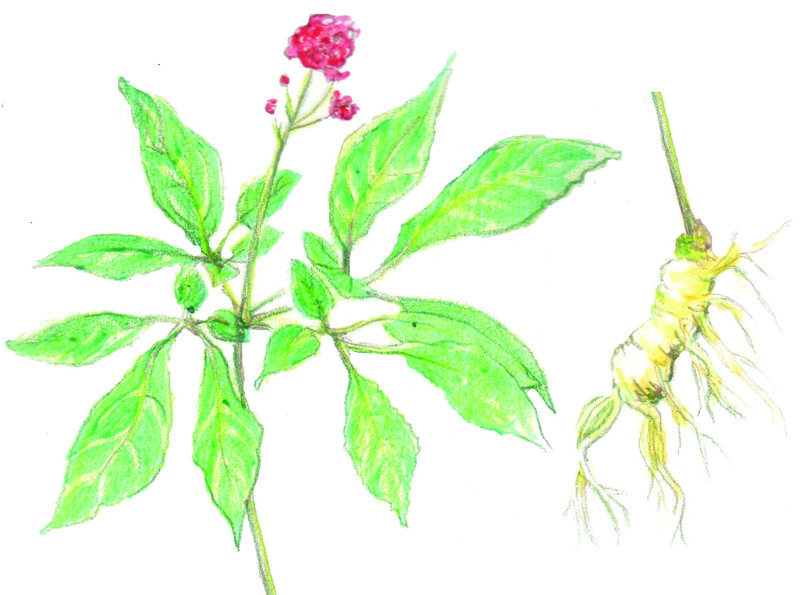 Crop-specific growing guides are included with shipments of ginseng and goldenseal and are also available as pdfs via links in the item descriptions. Important shipping information: Ships September - November, to northern-most areas first. Shipping surcharges apply - $2 for one fall item, $4 total for any two or more fall shipped items. U.S. shipping addresses only. We cannot apply priority shipping & handling to ginseng or goldenseal. Ginseng and Goldenseal ordered now will be shipped in the fall of 2019.